This review appears in our upcoming September/October issue. Order it here. Have you listened to Self Portrait lately? It’s really not that bad. That may come as a surprise to those who know the infamous 1970 Bob Dylan album as the musical equivalent of Ishtar (or, for younger viewers, The Lone Ranger) and are aware of noted Dylan scribe Greil Marcus’ vulgar body slam of a review in Rolling Stone. The problem with Self Portrait was that it was received by an unsuspecting world with no context. In retrospect, we know that Dylan was purposely trying with the double-album to both shake off the shackles of expectations and beat the bootleggers at their own game by releasing what sounded like a collection of outtakes to eliminate the middle man. Nobody knew that then though, leading to such widespread negative attention from the media that Dylan hurriedly released the more traditional album New Morning a few months later for damage control. The newest edition of Dylan’s celebrated Bootleg Series revisits this controversial era in the artist’s career. 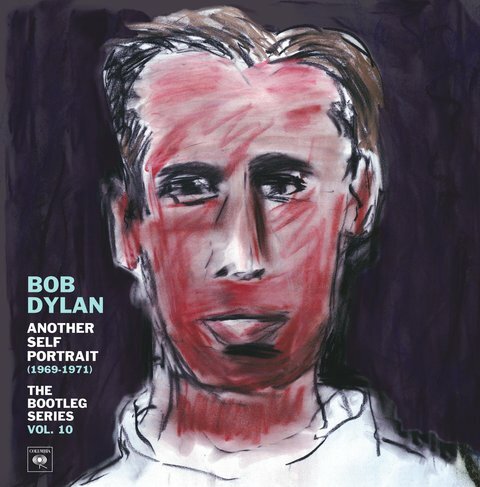 Titled Another Self Portrait, the two-disc basic edition includes songs that go back as far as The Basement Tapes in 1967 and as far forward as early ’71 as Bob cobbled together tracks for a Greatest Hits compilation. There are also a couple tracks from Dylan’s 1969 performance with The Band at The Isle Of Wight (the deluxe edition of the collection includes the full performance.) But the bulk of this is composed of outtakes or alternate versions from those two 1970 albums. There are also songs here that would have made the original Self Portrait a far better LP had Dylan chosen to include them. His effortlessly heartbreaking take on the traditional “Spanish Is The Loving Tongue” would have rivaled “Copper Kettle” as the album’s standout had it made the final cut, while tender readings of Eric Andersen’s “Thirsty Boots” and Tom Paxton’s “Annie’s Going To Sing Her Song” demonstrate Bob’s skills of interpretation far better than the listless versions of Paul Simon and Gordon Lightfoot hits that bewildered fans back in the day.